If you need 10-20 tickets or more for a Broadway show, go to SHOWTIX to find out about general group and educational group discounts. The group discounts can run around 15-20% off of box office prices; student group discounts are generally greater. 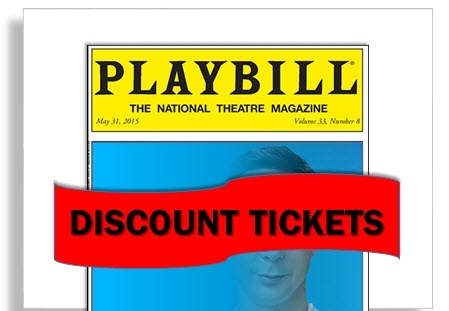 If you go often, and like to see Broadway shows when they're new and untested, you might decide to join a membership club that charges an annual fee, but gives you substantial ticket discounts. We believe there may be some competition to getting certain tickets when they become available; but these sites may be worth looking into. If there are no tickets available for the Broadway show you want to see and you need to see it on a specific day -- you can always check back with the theatre's box office the day of performance or the day before to see if more seats have been released or, try one of these sites which may price tickets at a premium. A kinder, gentler way to pay too much is provided by Damon Runyon Cancer Research; the foundation charges twice the normal ticket price, but the extra cost is a charitable donation. If you are looking for tickets at the last minute, it's worth checking these sites - we've found tickets priced only slightly higher than face value on sites such as StubHub when the performance is only a few business days away, ie, we paid $275 including fees for two orchestra tickets to Spamalot. Several sites offer discounted codes that can be used at sites such as BroadwayOffers.Com, to purchase discounted tickets. These sites do not charge membership fees, but many of their offers are similar. To learn more about smaller scale, Off-Broadway productions, try OffBroadway.Com : they have useful links to reviews and offer to email news of discounts. Can you wait until January? January is usually the least crowded month for Broadway theatres -- more tickets and discount offers are usually available than other months. Certain sites have discounts available only to students, and allow you to purchase tickets in advance. Among these sites HighFive has the best prices - it offers single tickets for $5 on weekends, and two tickets for $5 during the week. These sites generally don't offer discounts to the most popular shows; for those shows, it may be worth checking with the box office to see if rush tickets are available. Rush & Standing Room tickets are made available the same day as the performance, and provide a significant discount, however, plan on entering a lottery or standing in line for several hours for a popular show. The Lincoln Center Theater (the Vivian Beaumont Theater) offers students $20 tickets to shows; their current registration is closed but you can sign up for the wait-list at Lincoln Center's student ticket website, listed below. One of the best deals on Broadway is the "Kids Night on Broadway" which is now offered monthly, on the first Tuesday & Wednesday of every month. Children ages 6-18 may accompany an adult with a full-priced ticket, free of charge to select shows.